While the name Sea Wolf might sound like something out of naval warfare - a submarine or missile, perhaps - indie rocker Alex Brown Church's project of the same name isn't as violent as it sounds. He proved this with his band's 2007 debut, Leaves in the River, and will likely do so all over again when the group's sophomore effort, White Water, White Bloom, is released on September 22 through Dangerbird Records. Though Church started out as a lone wolf, he has since added a few more cubs to his pack, again recruiting keyboardist Lisa Fendelander, bassist Teed Liscinski and drummer Joey Ficken to help create a greater, more collaborative effort this time around. With a broader range of energetic instruments, the full band showcase what they are calling "a Montreal-inspired" album. Celebrated producer Mike Mogis (Bright Eyes, Monsters of Folk) was brought in to round out the ensemble this time around, re-creating the ambiance Church observed in Montreal and helping to bring the album to life. 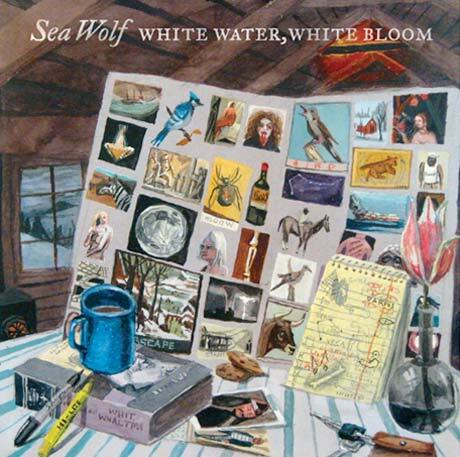 Along with the new record, Sea Wolf will hit the road for a six-week North American tour in support of White Water, White Bloom in September, and will play Canadian dates in Toronto, Vancouver and Montreal. 2. "Dew in the Grass"
4. "Turn the Dirt Over"
6. "White Water, White Bloom"
10/28 Austin, TX - Emo's Jr.